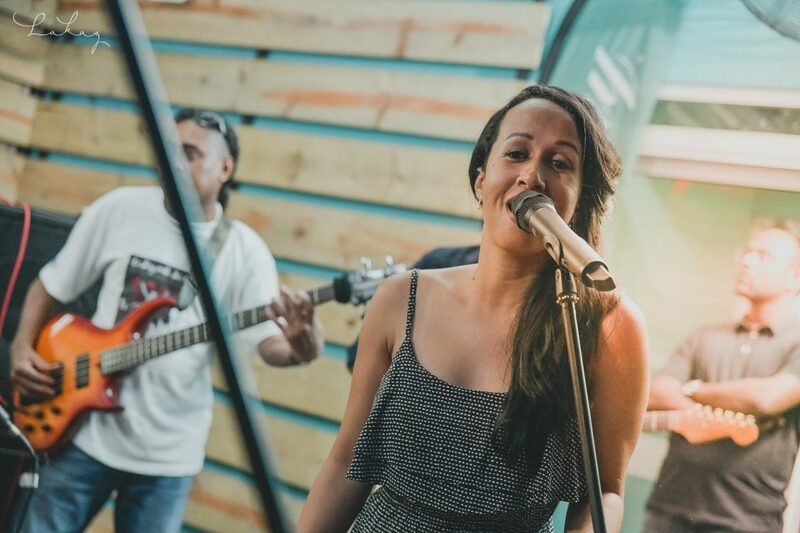 Whether on weekdays or weekends, there are plenty of ways to fill your leisure time on the west coast of Mauritius, from easing into the evening with some jazzy vibes on the beach to partying the night away, dining with musical entertainment and karaoke parties. Here’s our selection of the 5-best resto-bars in Black River – plus a special bonus. You’re in for a real treat! 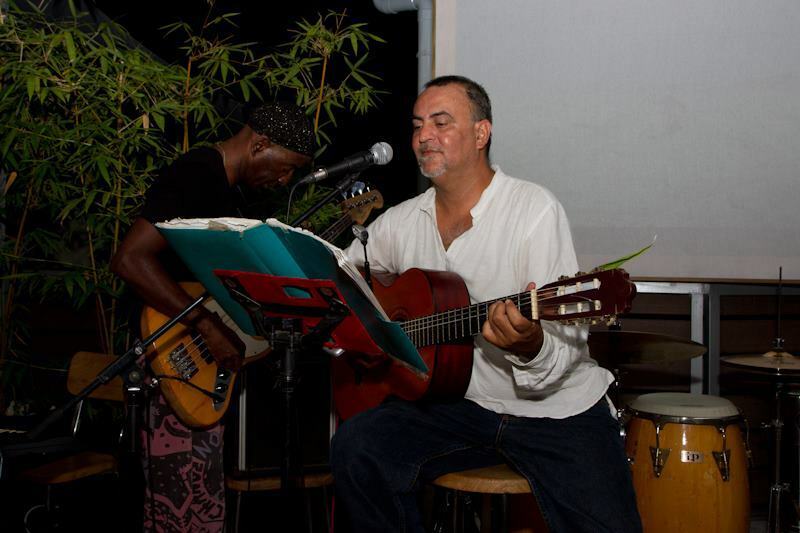 The Crazy Fish Bar, the main bar at Veranda Tamarin Hotel regularly delights the public with music and tapas evenings. Flip-flops are a must in the trendy and relaxed atmosphere of this recently renovated property! 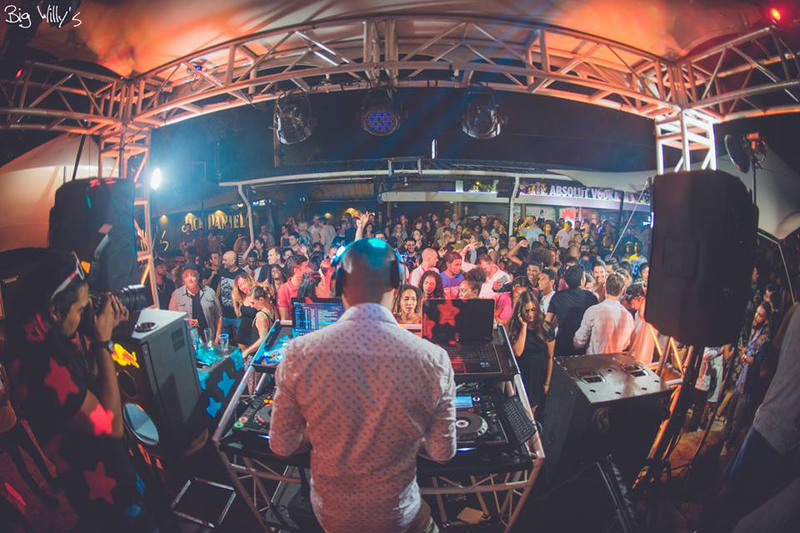 Set in the sand of Tamarin Bay, the Crazy Fish Bar is an open-sky bar with a stage to catch live music on weekends. Stay tuned to know all about the renowned local and international artists performing there, such as Sébastien Margéot from Mauritius and Eliasse from the Comoros. Live music usually starts at 7pm and the bar is open till 11pm. Overlooking the ocean on one side and the marina on the other, La Balise Marina’s clubhouse, Seeloy Island Club, is surrounded by a lush vegetation of tropical flowers. It offers an amazing culinary experience in a perfectly relaxed atmosphere with some of the island’s best views. 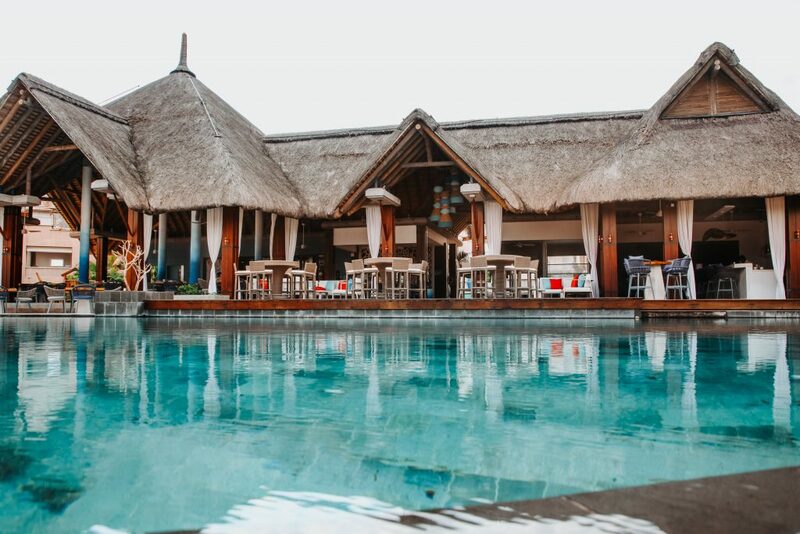 The club’s membership gives access to an array of facilities including a 325m² infinity pool along a fine sandy beach, a fully-equipped gym with stunning views over the tranquil river, beachside sun loungers as well as a range of events. Big Willy’s on the edge of the village of Tamarin is a favourite nightlife destination on the west coast. This resto-bar and nightclub features a delicious menu for meat lovers with a selection of Australian rib steak, Wellington beef fillet, lamb shank and the traditional burger. Big Willy’s hosts the live screening of major football and rugby matches as well as other sporting events. Additionally, it often offers live concerts and DJ sets to entertain you all night long. For sing-along fans, the resto-bar’s Karaoke Wednesdays are a must! Clubbers from all around the island flock to Lakaz Cascavelle. Located within Cascavelle Shopping Village, the restaurant has a varied menu, including fish, seafood, meat, vegetarian and vegan dishes. Weekend evenings kick off with live music, which gives way to a nightclub atmosphere after midnight. ‘Lakaz’, as the place is commonly called, is also famous for its Wednesday jam sessions – this is a great opportunity to showcase your singing and musical skills. 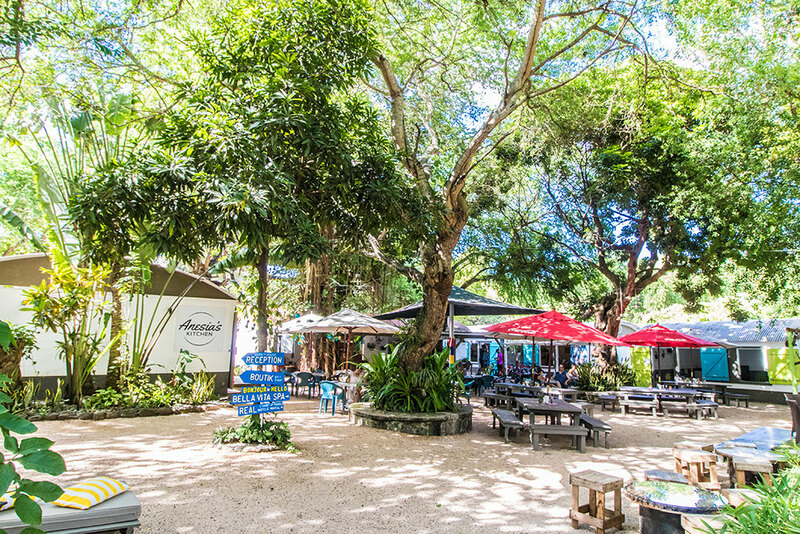 Situated just a short while from Tamarin, along the coastal road at La Preneuse, Roots Spirits is the perfect spot to get the evening started – it’s so popular that parking lots are often full. Tapas, salads and full course meals combine with the fusion cuisine prepared by the chef for a ravishing dining experience in the Roots Spirits’ garden, where you can chat and chill while enjoying great music by solo artists or duets. The stage is sometimes open for impromptu performances and the bar, also set in the garden, is the right place to while the evening away over a few drinks. 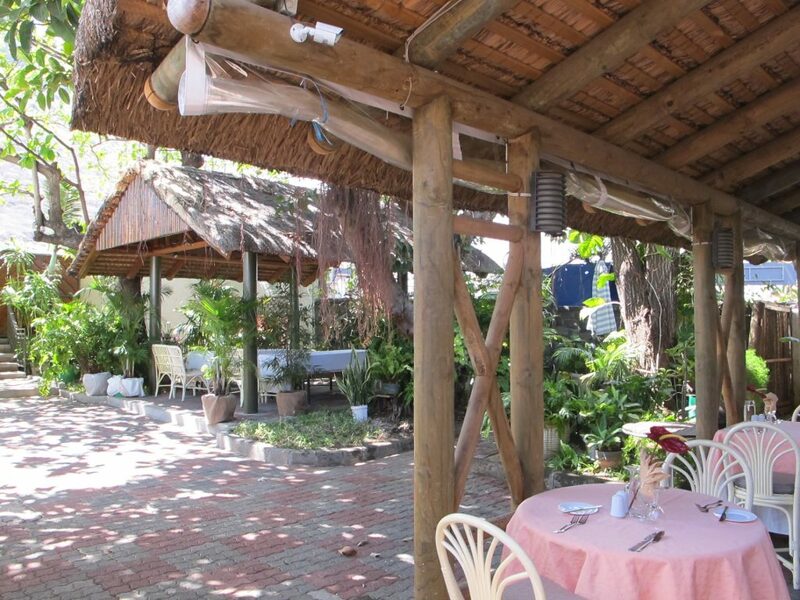 Set amidst a beautiful garden, La Bonne Chute is one of the oldest restaurants on the west coast, famous for its game and seafood dishes as well as its mojito. It is a popular meeting place for rugby fans with big screens to watch international events and enjoy a few drinks and snacks after the games! La Bonne Chute has a happy hour every Friday from 7pm to 10pm with a resident DJ and occasional theme evenings (Wild Wild West, Ladies’ Night, 80s Party, etc.) – so get dressed up in your glad rags for an evening of fun! Although not a resto-bar per se, Vanilla Café is a preferred venue in Black River for its innovative concept bringing together a B&B, a stylish cafe and trendy boutiques in a single spot. It is a tranquil place with a kids’ playground where families can enjoy a pleasant time together. Open from 8am to 3.30pm, the cafe serves a mix of local dishes as well as burgers, salads and sandwiches. A Sunday brunch is available from 11.30am to 3.30pm with nice music in the background. Some amazing destinations to add to your list! 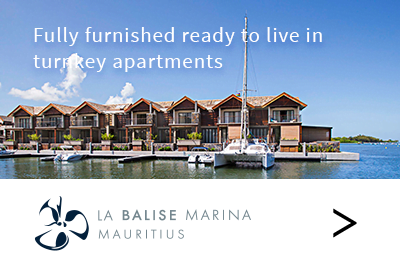 The luxury villa and apartment market in Mauritius offers some fine opportunities to diversify and optimise your property assets. 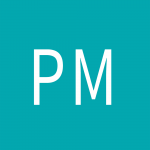 What inheritance laws apply in Mauritius? Copyright © 2019 - Live in Mauritius by Mauritius Sotheby's International Realty. All Right Reserved.